How well do you know Palolo Valley? I’d wager you don’t know it half as well as its neighbors, Manoa, Kaimuki and Kahala. Once filled with farms, then home to a rock quarry and even a World War II airfield, today’s Palolo is a country-style neighborhood in the middle of the city. 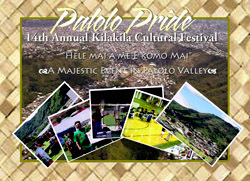 Palolo Valley’s rich history will be celebrated next weekend with the 14th Annual Palolo Pride Festival. 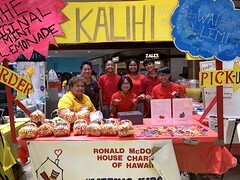 There will be food, local (and I mean local) entertainment, rides and games for the kids, craft booths, and a health fair (sponsored by the Rotary Club of East Honolulu). Entertainers scheduled to appear include musicians Steve Inglis, Mike Ka’awa, and Kaniloas, and a special guest appearance by comedian Kaleo Pilanca. The event will also feature the debut of “The Best of Ahe Street and Friends.” The ensemble features Ernie Cruz Jr., John Cruz, Wayne Kaiwi and Alex Padinuan (with friends Robi Kahakalau and Jeff Rasmussen). 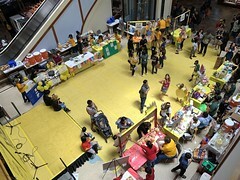 The event is a benefit for the Mutual Assistance Association Center (MAAC). My hubby always tells me about how he grew up in Palolo with Ernie & John Cruz so I asked him what street he lived on… his reply: “Ahe Street” – I told him about this event so he’ll most likely be there! 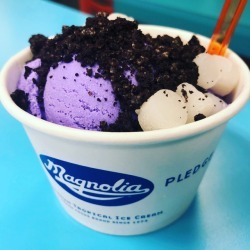 mahalo for the info! I’m so sorry, but John Cruz, Ernie Cruz and Robi Kahakalau will not be performing at this event. This is just a rumor and it’s totally false. All 3 of them have shows off-island and were unaware of this event until it ran in the papers. It’s a great idea, but is not possible for this year.